Over the years one of the great breakdowns in many of the small businesses that I’ve worked with lies in area of sales. Now it might be tempting to conclude that what I referring to is a lack of sales, but what I’m really getting at is a misunderstanding there’s actually a distinction between sales and marketing. Some of this might simply be semantics because the terms are widely fumbled around in various places, but here’s what I find to be true. 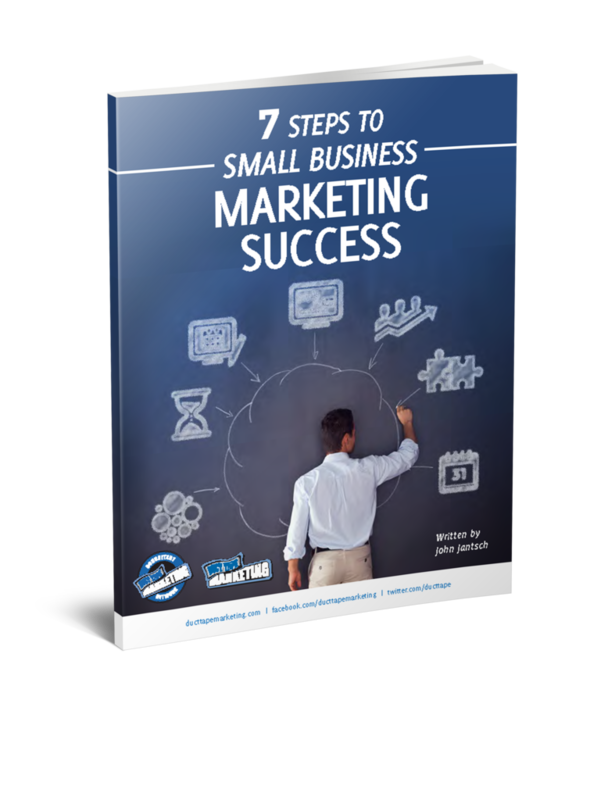 Business owners either fail to address the functions as separate or choose to view selling as marketing. Either way, they end up limiting the effectiveness of both. The trouble with this mindset is that social media and inbound marketing has actually made the distinction even harder to appreciate. There was a time when marketing created brochures and sales people delivered them. Now prospects can create their own brochure of sorts using reviews, search engines and social connections and they certainly don’t need a salesperson for an information dump. 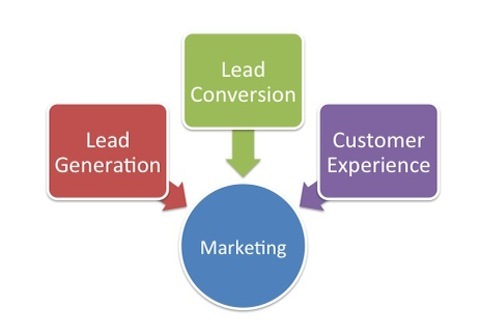 In the most traditional view marketing is charged with lead generation, lead conversion and customer experience. Lead conversion, or what one might think of simply as sales, is a central and separate function that must be wholly integrated into the entire marketing framework. The tricky part is holding the view of separate and integrated simultaneously. Ever wonder why the greatest challenge most organizations face is getting sales and marketing on the same page? Here’s my recipe for treating sales as function of marketing while giving it the appropriate separation. Field sales people often understand the needs, wants, stories and personas of your best customers better than anyone else in the organization and yet they are rarely included in ideal client and value proposition discussions. Everyone involved in the marketing function, yes this includes sales and customer service people, should play a role in digging up research, crafting the message, outlining objectives and determining how the marketing game is played from quarter to quarter. If you follow step one then it makes logical sense that the entire marketing department play a role in crafting an integrated sales process and not just the sales manager. Everyone involved in the selling function should have a clear process for discovery, presentation, nurturing and converting. The process must be fully understood and supported by marketing and everyone must be taught how to conduct the process. Here’s a tip, look to the most successful salespeople in the organization and odds are they have your process ready to be mimicked. The common belief is that good sales people are good relationship builders. While relationship building is crucial, it’s often viewed in the light of outward social skills. In sales today relationships are often judged not on the merits of likability, but on the merits of value. What prospects need from a sales person is someone who can get them to think differently about a problem or teach them how to do something they don’t yet understand. Your tech people might actually be the best people for this type of selling. Today’s sales people need to write and speak as well as network and follow-up. Smart salespeople understand that they are also in the brand building, reputation monitoring, community managing business and marketing departments and sales managers need to enable sales people to produce content, participate in social networks, contribute expert articles and get to podiums as often as possible. I’ve always contended that a sale isn’t a sale until the customer receives the result they are expecting. This mindset suggests that the sales staff should be intimately involved is measuring results, introducing new ways to use old products, solving problems and digging up referrals at significant moments of truth. Largely what I’m suggesting is that you make sales a separate function by creating a separate process but you integrate it by overlapping the function into lead generation and customer experience.